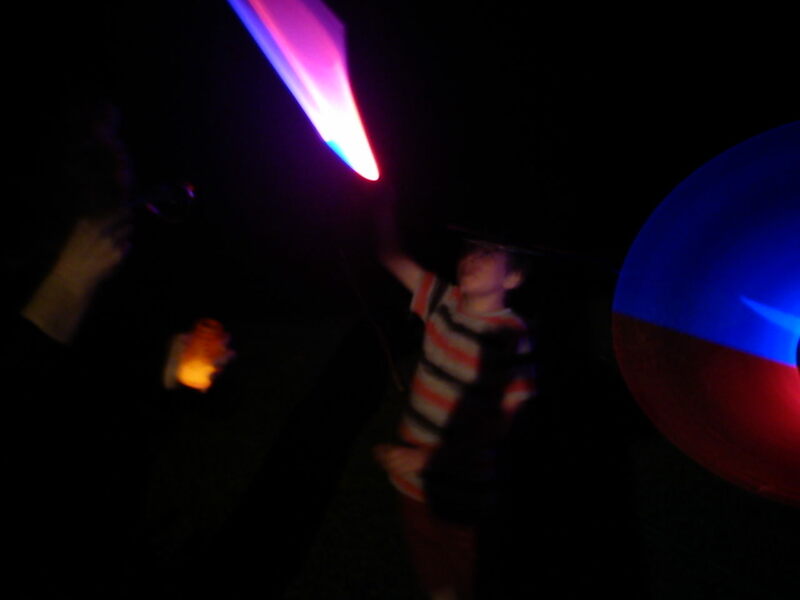 New Year with light sabers and glow in the dark bubble mixture. 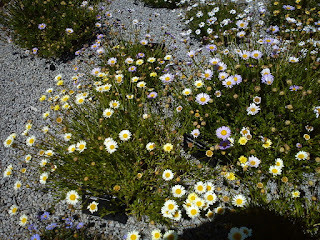 Australian native daisies at the Royal Botanic Gardens. Genus Asteracea, aster = star. The Full Moon is Friday December 28. Earth is at perihelion on January 2. Jupiter is prominent in the evening sky. In the morning skies Venus is low on the horizon. Saturn is visible high in the morning sky. Morning sky on Sunday December 30 looking east as seen from Adelaide at 5:15 am local daylight saving time in South Australia. Saturn and Venus are drawing apart, Mercury is just on the horizon. Similar views will be seen elsewhere at the equivalent local time (click to embiggen). The Full Moon is Friday December 28. 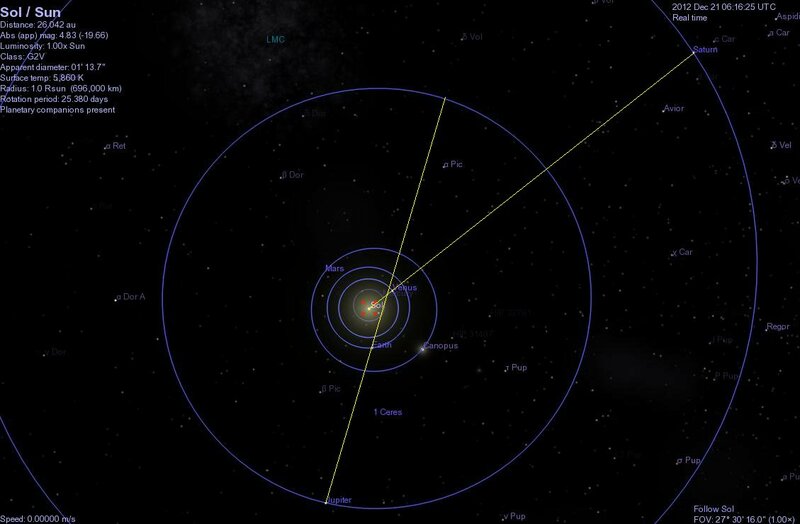 Earth is at perihelion (the closest point to the Sun in Earth's orbit) on January 2. Bright white Venus is now quite low above the eastern horizon, and hard to see from cluttered horizons. Venus looks like a waxing Moon when seen through even a small telescope. Venus is in the constellation of Ophiuchus. Saturn is now readily visible above the eastern horizon before dawn. 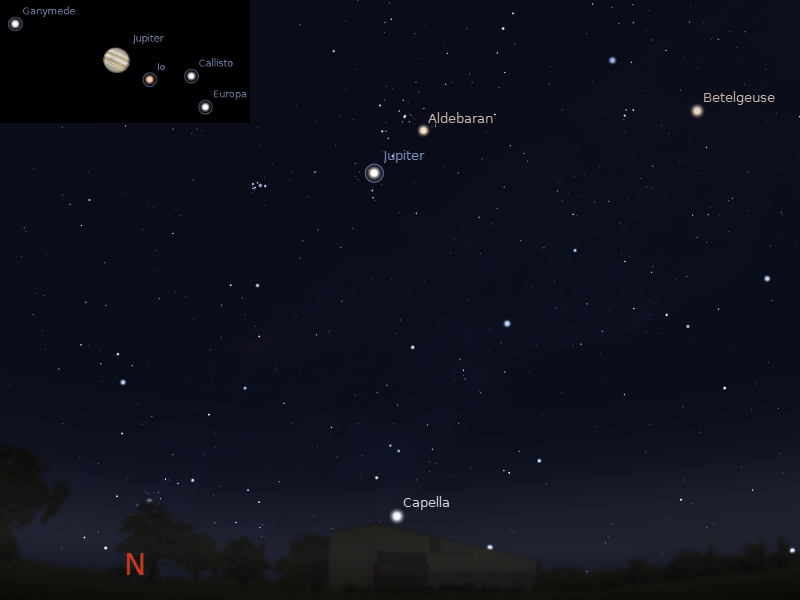 Saturn climbs higher in the morning sky, becoming easier to see in the morning sky. In the constellation of Libra, it continues to move away from Venus during the week. 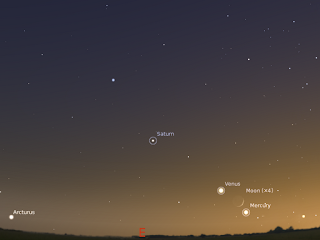 Mercury is low in the morning sky, but is very difficult to see in the twilight below Venus. 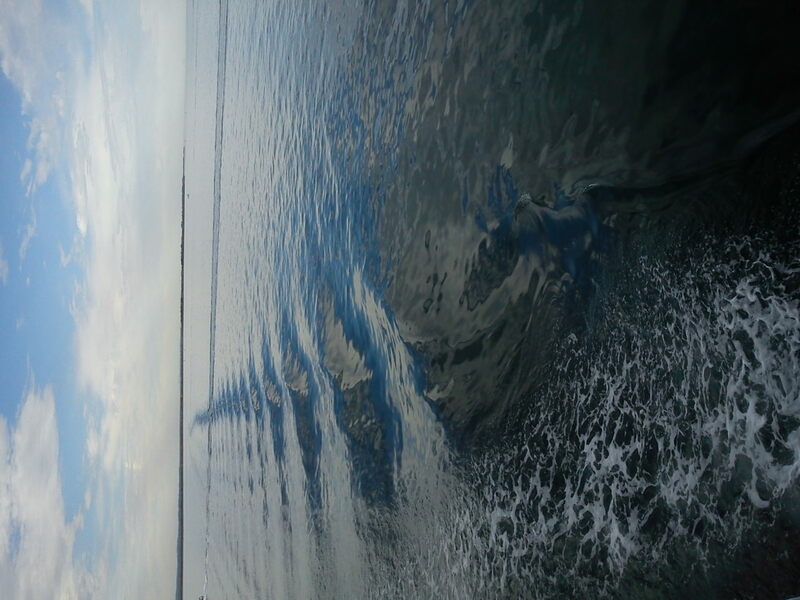 You will need a flat, obscured horizon (like the ocean) to see it. By the end of the week it is lost in the twilight. Evening sky looking North as seen from Adelaide at 22:00 pm local daylight time on Sunday December 30. The inset shows Jupiter's Moons at this time. Similar views will be seen elsewhere at the equivalent local time. Click to embiggen. Mars is lost in the twilight, and will return in the morning skies next year. Jupiter is visible all night long now. Despite opposition having just passed on the December the 3rd Jupiter is prominent in the north-eastern early evening sky, being quite visible in the twilight. Jupiter is below the Hyades, near the red star Aldebaran. Jupiter remains near Aldebaran during the week, making it look as if the Bull has two eyes. Jupiter is easily seen in the late evening sky, rising around 6:00 pm local daylight saving time and is highest in the north by 11:00 pm. Now is a perfect time to observe Jupiter with a telescope of any size in the evening. Jupiters' Moons are easily seen in binoculars, and can be followed from night to night changing position. A ready-made gingerbread house assembeled and decorated by SmallestOne and MiddleOne. 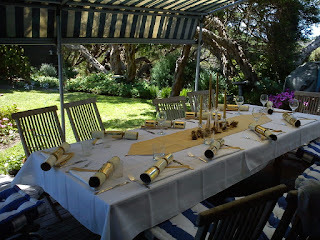 Hope you all have a happy and safe festive season, and clear skies! Dolphins surfing on the bow, wake reflecting the colour of the sky. 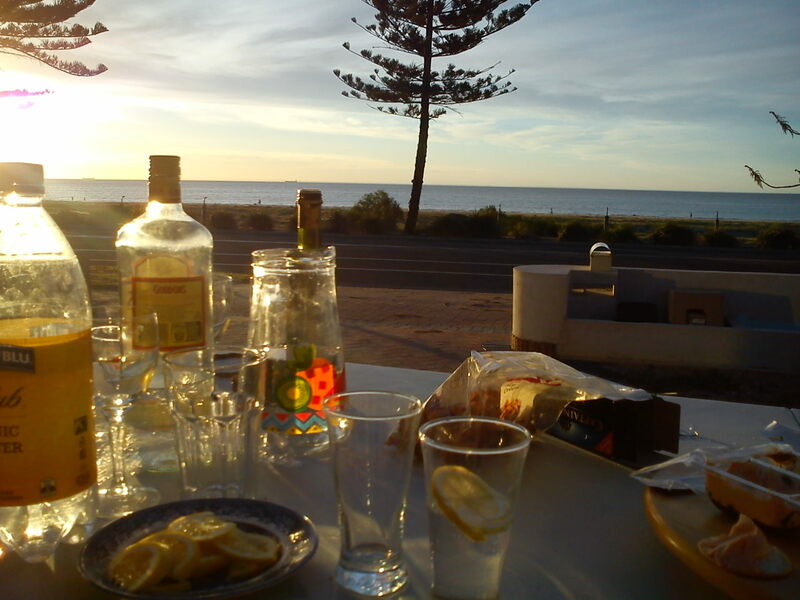 What better way to celebrate Baktun 13:0:0:0:1 than afternoon drinks and nibbles while watching a spectacular sunset. 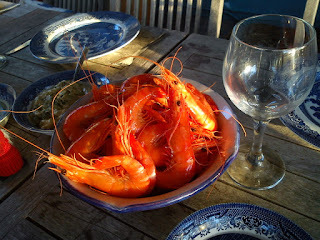 Temprature a balmy 29 C.
Southern Skywatch January 2013 Edition is now up. Morning sky as seen from Adelaide at 5:00 am ACDST on January 6 showing the Moon about to occult Spica (click on image to embiggen). The January edition of Southern Skywatch is now up. 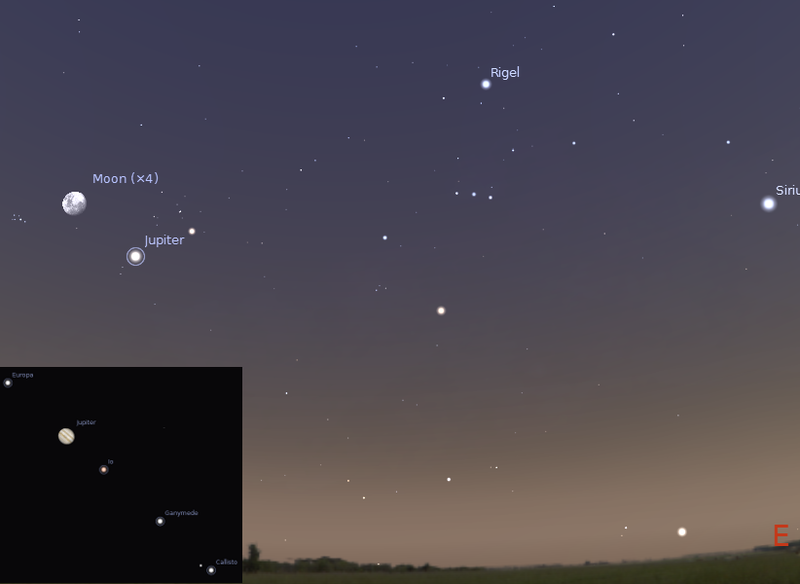 There's still a bit of planetary action this month. The bright star Spica is occulted by the Moon. Venus is low in the morning sky and is close to the crescent Moon on the 11th. On January 7 the crescent Moon is close to Saturn. 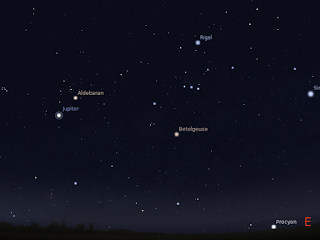 Jupiter is in the morning sky near the Hyades. Jupiter was at opposition on the 3rd, when it was largest as seen from Earth. This is still an ideal time for telescopic views of Jupiter. 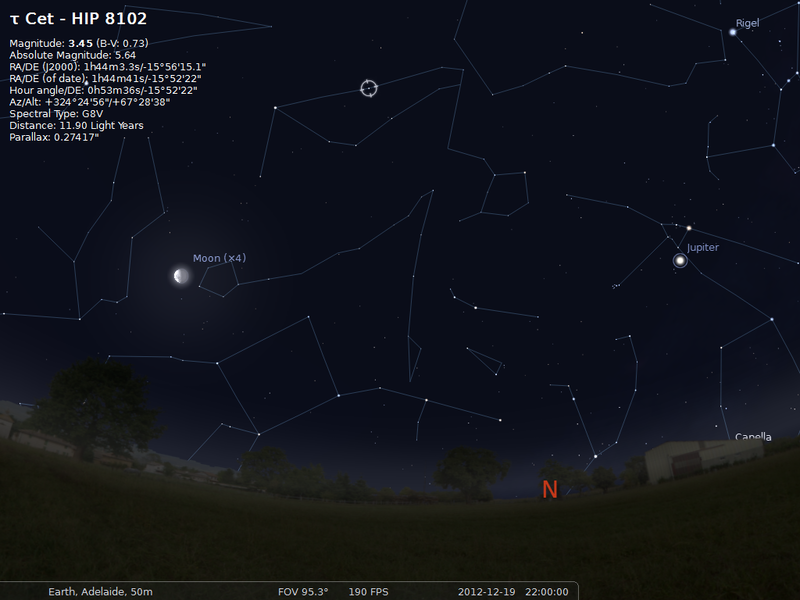 On the 21st-222nd the Moon and Jupiter are close. Mars Mars starts the month in Capricornius then crosses to Aquarius. Mars is close to the crescent Moon on the 13th. By the end of the month it is very difficult to see. As I type "end of the world" hysteria is rising to a climax. If you somehow managed to miss it, 21 December is when the Mayan Long Count Calendar clicks over from 12.19.19.17.19 to 13.0.0.0.0. Various groups have associated this Calendrical change with a variety of apocalyptic scenarios, just as happened when we went from 1999 to 2000 in our calendar. Of course, nothing apocalyptic happened on January 1 2000, nor will anything apocalyptic on 13.0.0.0.0. 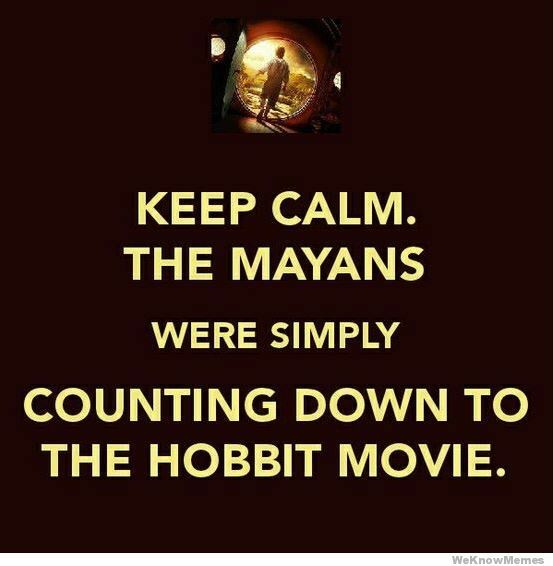 The ancient Mayan's did not think the end of the world would happen then, nor do modern Maya. Various apocalyptic scenarios have been proposed, from rather unexciting "change of consciousness" to beams of gamma rays from the black hole at the galaxies centre causing the sun to erupt in solar flares. None of these things are going to happen, and there are are many good sources that cover the various panics that are afflicting people. 1) Crossing the galactic plane. The solar system doesn't actually cross the galactic plane, and won't for a few million years. We do cross the galactic equator, but this does not put us in line with the black hole at the centre of our galaxy. Furthermore, we cross the galactic equator twice a year, and have done so since 1998 without ill effects. 2) Planetary alignments will do something bad to us somehow. But there are no planetary alignments on the 20-21st. Even if there were, we have survived numerous planetary alignments without apocalypses. The image at the left shows the planets on the 21st, Saturn-Venus-Sun appear to be aligned, but Saturn is far above the plane of Venus's orbit, and does not fall on a Sun-Venus axis. I talk in more detail about alignments here. 3) Killer solar flares. A Massive solar flare like the Carrington event would be very destructive, but these are extremely rare. We have survived flares rated up to X20 (really high) quite well. These flares may be inconvenient and expensive in lost telecommunications and the odd burnt-out satellite, but they aren't civilization crashers. As well, this solar maximum is rather weak, with few X class flares, and no active sunspots at the moment. We are not going to get killer flares form the few puny sunspots around at the moment. 4) Mysterious giant planets/brown dwarfs hanging around in the solar system. Any close enough to do anything to the Earth would have been painfully bright in the sky months ago. Continual misidentifing of various objects from lens flares to the Pleiades as planets does not count. 5) Pole shift. There is a bit of confusion here between the Earth's axis of rotation (which will not shift short of something the size of Mars colliding with us, and the magnetic poles, which do shift, and reverse every few tens of thousands of years. Magnetic pole reversals occur over thousands of years, not instantaneously so at the worst we might have some confused birds, but no Apocalypse. It all seems silly, but there are people who are taken in by the hype, and who are being worried for no reason. As with previous apocalypses people are going to great effort to move to "safe havens" a great cost in time, money and peace of mind. 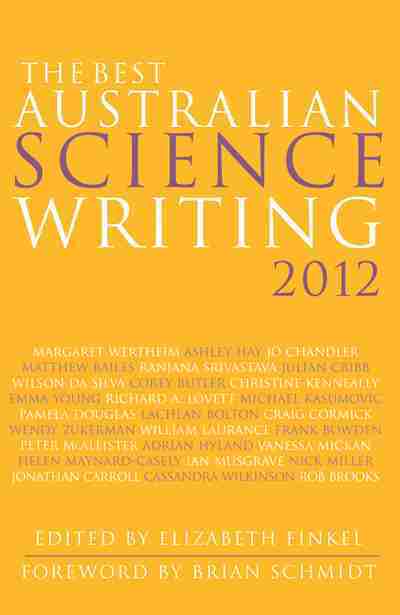 Ask an Astrobiologist 2012 FAQ with lots of good links and videos. The SETI Institute 2012 site. And here's my lighter take on the post apocalypse events. Tau Ceti has Planets? maybe even an Earth-Like One in a Habitable Zone. 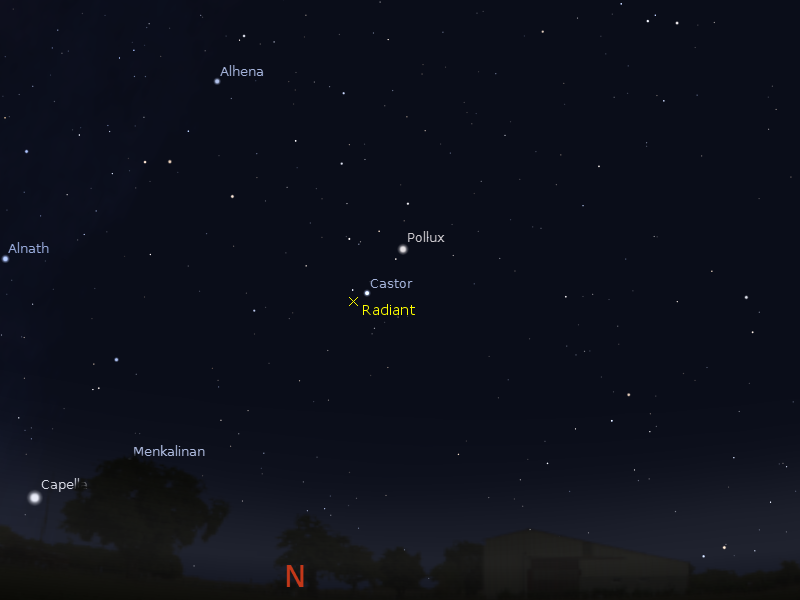 Location of Tau Ceti as seen from Australia at around 10 pm local daylight saving time, click to embiggen. If you go out at around 10 pm tonight (or over the next week or so) and look north, you will see a unprepossessing star (magnitude 3.5) about 11 hand-spans up from the horizon. This is the star Tau Ceti. A mere 12 light years away and a close twin of our sun, Tau Ceti has been the focus of many science fiction stories based on imagined planets. But today it was announced that, like our neighbours Alpha Centauri and Epsilon Eridani, Tau Ceti may have real planets, Earth-like ones, with one possible world in Tau Ceti's habitable zone. The Earth-likeness may be a bit strained, the planets have periods of 13.9, 35.4, 94, 168, and 640 days and minimum masses of 2.0, 3.1, 3.6, 4.3, and 6.6 M earth, respectively. It's the M earth 4.3 planet with a 168 day orbit which is in the habitable zone (that means its mass is 4.3 times that of Earth, it may be a water world rather than a rocky world). I'll make a Celestia file after New Year. Note the "may", which appears to have been dropped from many press releases. The planets have been uncovered by an international team of astronomers using clever statistical techniques on 14 years of observational data. the signals of these planets have been sifted from the years of noise. Their technique is a clever one, and has the potential to uncover more Earth-like systems, but requires independent confirmation before we get too excited. The preprint of the paper is here.The PDF of the preprint is here (warning, big). ABC science online reporting here, Astrobiology Magazine article here. PhysOrg news article here. Carnival of Space #280 is now Here! Carnival of Space #280 is now up at Starry Critters. There's the GRAIL mission, hidden black holes, mining asteroids and heaps of fantastic images. Go have a look. First Quarter Moon is Thursday December 20. Mars is lost in the twilight. Earth is at solstice on the 21st. Jupiter is prominent in the late evening sky and is visited by the Moon on the 25th and 26th. In the morning skies Venus is low on the horizon and close to Antares on the 25th. Saturn is visible low in the morning sky not far from Venus. Morning sky on Tuesday December 25 looking east as seen from Adelaide at 5:15 am local daylight saving time in South Australia. Saturn and Venus are drawing apart, Mercury is just on the horizon. Venus is near the star Antares. Similar views will be seen elsewhere at the equivalent local time (click to embiggen). The First Quarter Moon is Thursday December 20. Bright white Venus is now quite low above the eastern horizon, and hard to see from cluttered horizons. Venus looks like a waxing Moon when seen through even a small telescope. Venus is in the constellation of Scorpio.It moves through the head of the Scorpion (although this will be difficult to see in the twilight) and is close to the red star Antares on the 25th. Saturn is now readily visible above the eastern horizon before dawn. Saturn climbs higher in the morning sky, becoming easier to see in the twilight, and moves away from Venus during the week. Mercury is low in the morning sky, but is very difficult to see in the twilight below Venus. 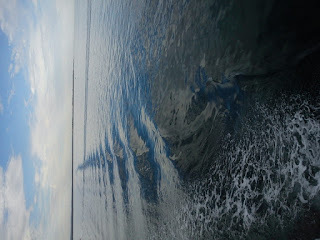 You will need a flat, obscured horizon (like the ocean) to see it. Evening sky looking East as seen from Adelaide at 21:00 pm local daylight time on Tuesday December 25. The nearly Full Moon is close to Jupiter. The inset shows Jupiter's Moons at this time. Similar views will be seen elsewhere at the equivalent local time. 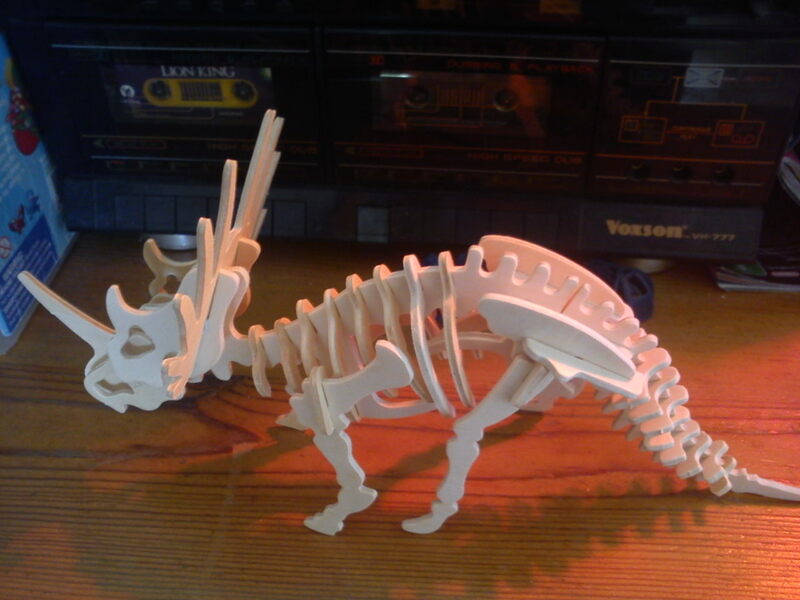 Click to embiggen. Mars is lost in the twilight by the end of the week, and will return in the morning skies next year. Jupiter is visible all night long now. Despite opposition having just passed on the 3rd Jupiter is prominent in the north-eastern early evening sky, being quite visible in the twilight. Jupiter is below the Hyades, near the red star Aldebaran. Jupiter remains near Aldebaran during the week, making it look as if the Bull has two eyes. Jupiter is easily seen in the late evening sky, rising around 6:30 pm local daylight saving time and is highest in the north by 11:30 pm. Now is a perfect time to observe Jupiter with a telescope of any size in the evening. Jupiters' Moons are easily seen in binoculars, and can be followed from night to night changing position. The nearly full Moon visits Jupiter on the 25th and 26th. 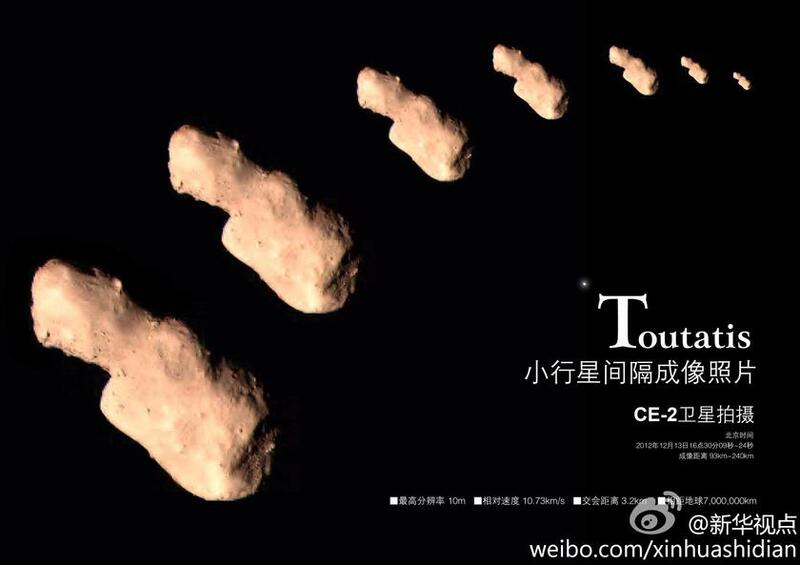 The Chinese Moon probe Chang'E snapped some amazing images of Asteroid Toutatis as it zoomed past. Closest approach was at 08:30:09 UTC on December 13 at an altitude of just 3.2 km. The images came out very well. Goldstone Radar also picked up some detailed images of the asteroid, have a look at the animation belwo for some awesomeness. 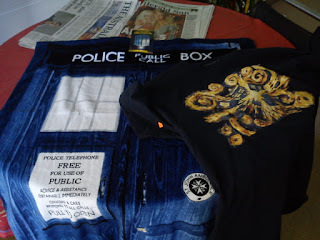 More information and links can be found at Emily Lakdawallah's Planetary Society blog. 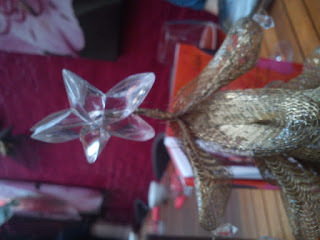 My previous images and animation taken with iTelescope T5 are here. 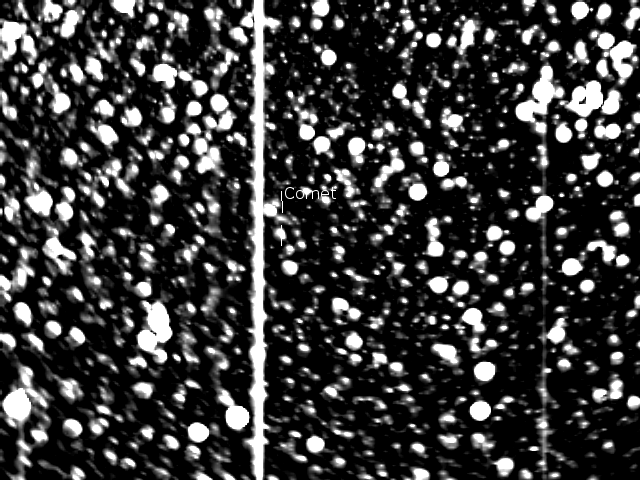 Comet C/2012 V4 imaged in the STEREO H1B instrument between December 10 and 12, 21 images stacked in ImageJ. Click to embiggen. 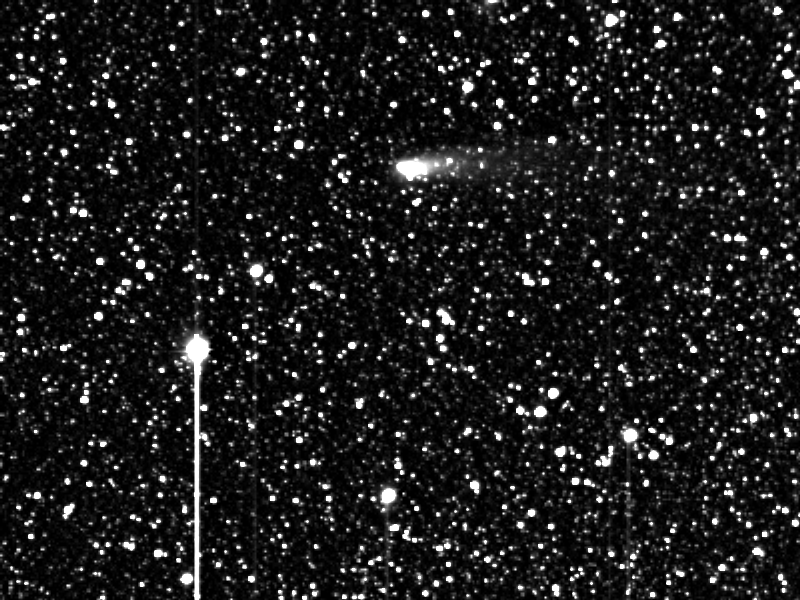 Comet C/2012 V4 is a recently discovered comet that has been tentatively identified with a return of the comet D/1827 M1 (Pons-Gambart). It is very low in the sky, and difficult to image with earth bound telescopes. It crossed into the STEREO H1B imager on December 10, and exited shortly after December 12. 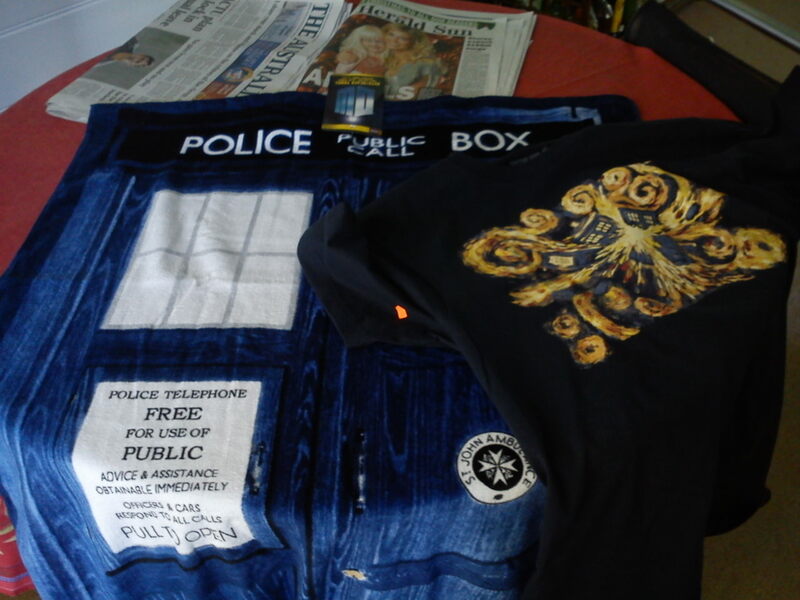 I combined images from the 10 and 11 to make the animation below. CometAl thinks its magnitude is around 4, see his images and animation here. See my previous post with the comet in H2B. Orbits calculated for many of the Geminid meteors that were seen over the past few days, note the close fit to the orbit of the Asteroid 3200 Phaethon (purple line), their parent body. Image Credit NASA. 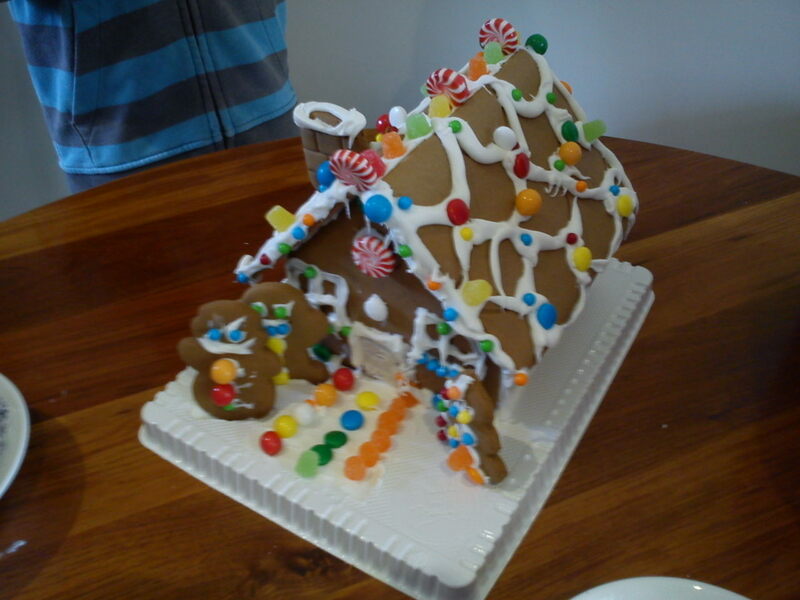 If, like me, you were completely clouded out for the 2012 Geminids, you can catch up with this remarkable night using images from around the web. The NASA fireball cameras have lots of images on line. 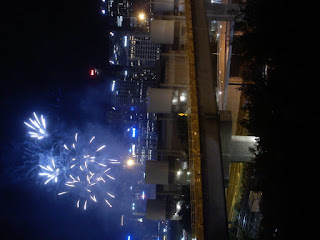 Click on the date links on the left hand side of the page for some awesome images. Salvador Aguirre has many whole sky shots with fireballs, Chirs Peterson of Cloudbait Observatory has a great composite shot and several videos, Stéphane Guisard has a brilliant colour composite shot. Spaceweather has a nice Geminid meteor gallery. 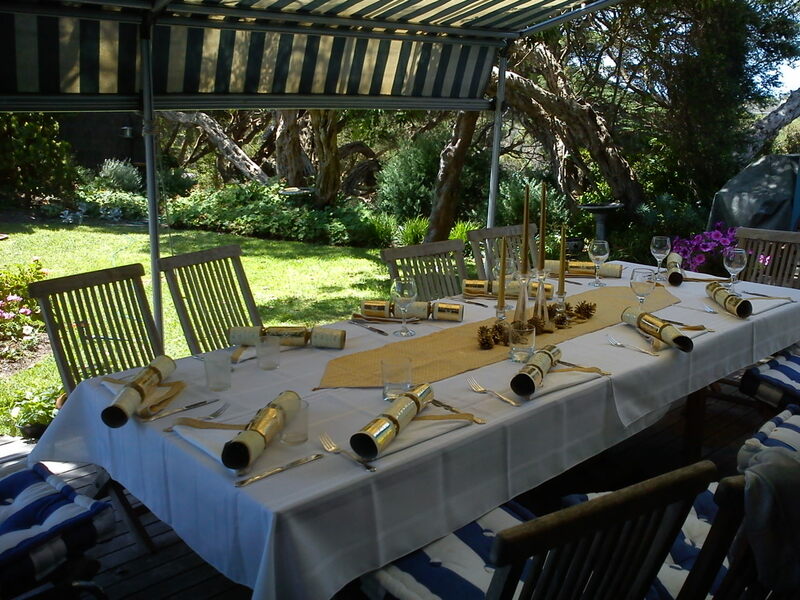 Between parrot rescue, science communicators, MiddleOnes graduation from Primary School and end of year parties, I'm not getting astronomy done. Asteroid 4179 Toutatis zooms past Earth on 12-12-12. This is a stack of 10x30sec R filtered images from iTelescope T5 stacked in ImageJ using the SUM function. Asteroid 4179 Toutatis approached the Earth being closest at 18 Earth-Moon distances on December 12 6:40 UT. While this is not particularly close, Toutatis is reasonably large at 2.7 Km in diameter, and was quite bright ranging at around magnitude 10, making it an easy target. Below is a 19 frame video of the asteroid zipping through the sky shortly before closest approach. Each image was 30 seconds exposure, R filter, taken with iTelescope T5. The New Moon is Thursday December 13, First Quarter Moon is Thursday December 20. Mars is in Sagittarius and is visited by the crescent Moon on the 15th. Jupiter is prominent in the late evening sky. In the morning skies Venus is low on the horizon. 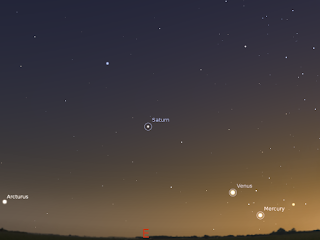 Saturn is visible low in the morning sky not far from Venus. The Geminid meteor shower peaks on the morning of the 14th. Morning sky on Sunday December 16 looking east as seen from Adelaide at 5:15 am local daylight saving time in South Australia. Saturn and Venus are drawing apart, Mercury is just on the horizon. Similar views will be seen elsewhere at the equivalent local time (click to embiggen). The New Moon is Thursday December 13, First Quarter Moon is Thursday December 20. Bright white Venus is now quite low above the eastern horizon, and hard to see from cluttered horizons. Venus looks like a waxing Moon when seen through even a small telescope. Venus is in the constellation of Virgo. 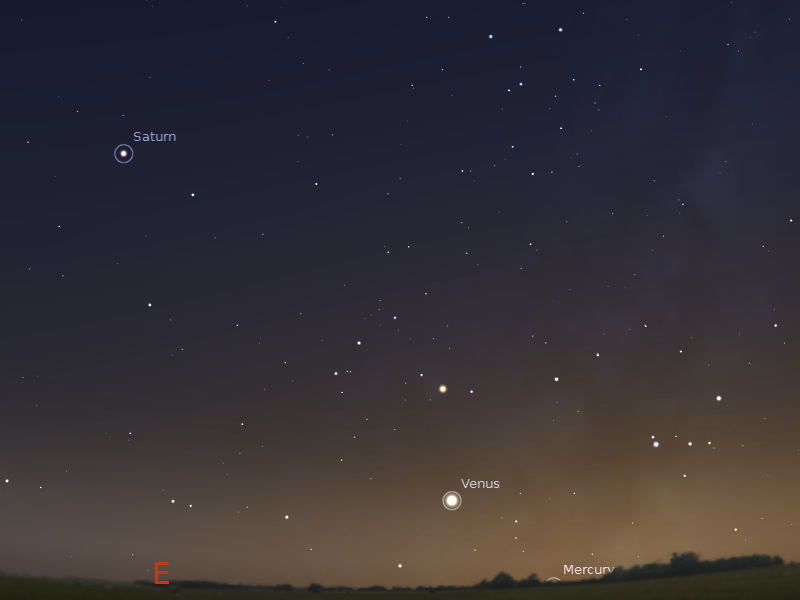 Saturn is now visible above the eastern horizon before dawn. Saturn climbs higher in the morning sky, becoming easier to see in the twilight, and moves away from Venus during the week. 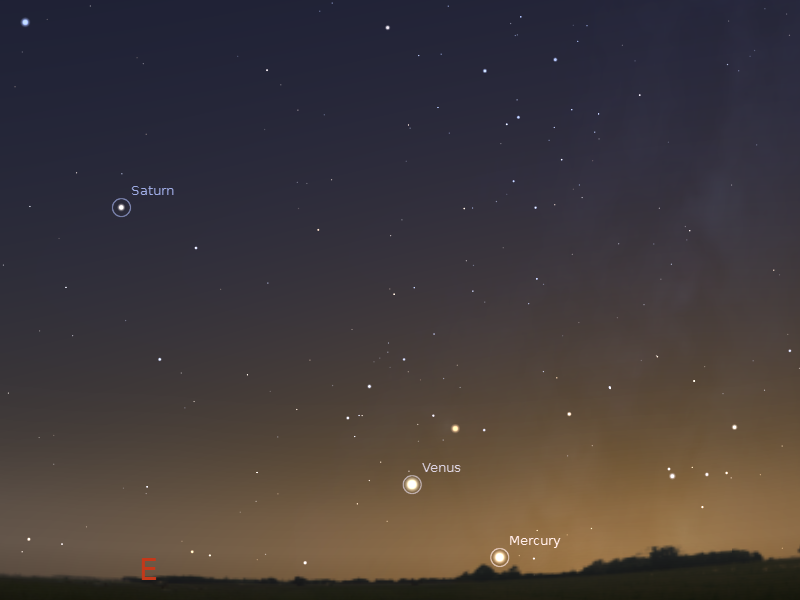 Mercury is low in the morning sky, but is difficult to see in the twilight below Venus. You will need a flat, obscured horizon (like the ocean) to see it. Evening sky looking West as seen from Adelaide at 21:00 pm local daylight time on Saturday December 15. The thin crescent Moon is close to Mars. Similar views will be seen elsewhere at the equivalent local time. Click to embiggen. Mars is in the constellation Sagittarius. Mars is now the brightest object in the western sky as the red star Antares, is lost in the twilight. Mars's distinctive red colour makes it relatively easy to spot. 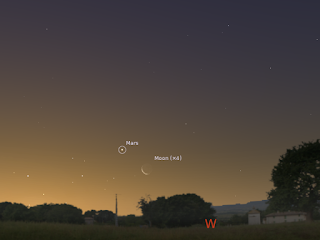 Mars will be close to the thin crescent Moon on the 15th. Mars sets shortly after 10:30 pm local daylight saving time. Jupiter is visible all night long now. Despite opposition having just passed on the 3rd Jupiter is prominent in the north-eastern early evening sky, being quite visible in the twilight. Jupiter is below the Hyades, near the red star Aldebaran. Jupiter moves slowly towards Aldebaran during the week, making it look as if the Bull has two eyes. Jupiter is easily seen in the late evening sky, rising around 7:00 pm local daylight saving time and is highest in the north by midnight. Now is a perfect time to observe Jupiter with a telescope of any size in the evening. Jupiters' Moons are easily seen in binoculars, and can be followed from night to night changing position. The radiant of the Geminid meteor shower above the northern horizon as seen from Adelaide on the morning of December 14 at 3:00 pm ACDST, similar views will be seen from other sites at equivalent local times. The radiant is marked with a cross (click to embiggen). The Geminid Meteor shower is at its peak from the point of view of Australian's on the mornings of Friday 14 December (13 December UT) and Saturday 15 December. The best time to observe is between 1 and 4 am (daylight saving time, 12-3 am non-daylight saving time), with the highest rates between 2-3 am daylight saving time. With the Moon out of the picture in Australia we should see roughly a meteor every 2 minutes. You can see more details about observing the shower here. The asteroid Ceres is at opposition on the 18th, at magnitude 6.7 is is easily visible in binoculars. Getting up at 5:30 am allows you to see the spectacle of the crescent Moon, Venus and Saturn. But this time I was up keeping watch on Archie, our galah, who decided to go on a little adventure, and ended up spending the night in a tree. Archie's adventure started Saturday afternoon, when he was having some out time from his cage while we were out on the back veranda. Archie often shares breakfast or lunch out there with us, either on his perch or scrabbling around on or under the table. This time he was sitting quietly on his perch when I went inside to answer a phone call. The boys were outside with him. When I came back Archie was nowhere to be seen. "He flew around the corner" said SmallestOne helpfully. He wasn't around the corner, or in the back yard at all. So began an afternoon of door-knocking the neighbours, doing blockies calling Archie's name, printing out posters and putting them up ( "have you seen this parrot?" sounds funny in retrospect), dropping off leaflets and posting on various lost pet websites. SmallestOne was distraught, "I loved Archie" he cried. For various encounters with other bird owning neighbours, the Bettdeckererschnappedner Weisle learnt that sometimes errant parrots can come back on their own accord up to three days later. We slept marginally better with this news. Sunday dawned, Vets were rung, I dropped off posters in the local pet stores, and wandered around the backyard crying "Archie" forlornly, in between bashing my thumb with a hammer trying to do minor household chores. A few more neighbours were visited to inspect backyards. 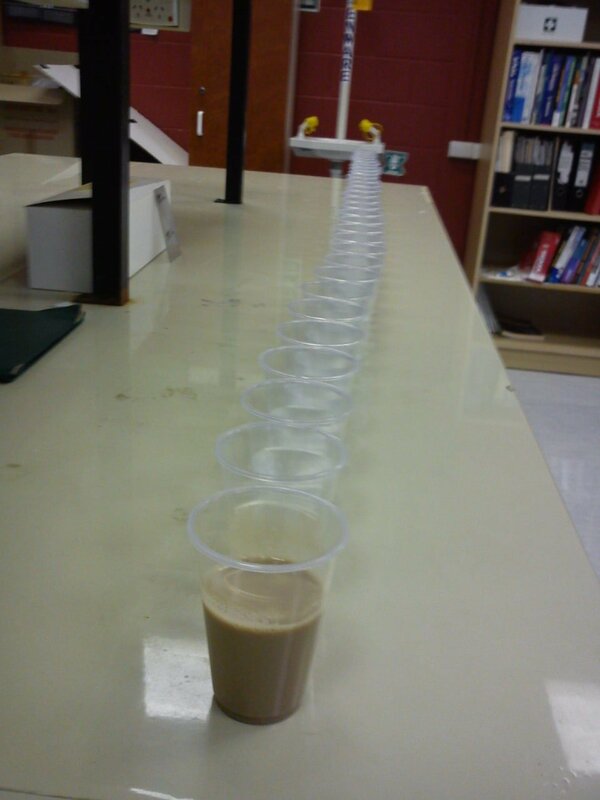 We were preparing ourselves for another Archie free day. Then at 7:30 pm our phone rang "We've found your parrot!". The good news was that a family out walking had seen Archie, who was also walking down the Esplanade (the major road that runs next to the beach, he was two streets away from us). The bad news was that he had flown up a tree. And not just any tree, one of the massive Norfolk Island pines that line the Esplanade, the lowest branches were 5 meters form the ground, and Archie was around 10 meters up. Not even our tallest ladder would reach the bottom branches. So we and some friends and neighbours huddled around the base of the tree, calling and shaking one of his toys. He didn't budge. By 9:30 pm, when it was dark and cold, it was obvious he was in for the night, so we went home (well, I went and picked up EldestOne from his party). So it was that I was back under the tree at 5:30 am Monday. Archie hadn't moved, nor did he move for ages. Now I should point out that Archie can't actually fly, he can do short hopping flaps, and it was clear he was very nervous about where he was. Eventually he slowly worked his way down to the power line the went through the tree. Then he edged slowly along accompanied by me waving a handful of sunflower seeds and offering scratches. Various dog walkers stopped for a chat and offered advice while I did this. 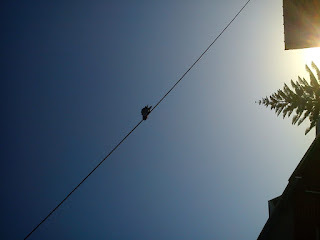 Eventually he reached a power line that ran down to a house, he edged down along this while we stood nervously in someone else's front yard. Eventually, with the help of a broom for him to climb down (thank you lady with the two dogs who suggested this) he was in our arms, eating sunflower seeds and getting scratches. So if you want to know why I haven't finished my Conversation blog post, or my iTelescope comet post, or finished my talk for Tuesday, this is the reason why. Comet C/2012 V4 is a recently discovered comet that has been tentatively identified with a return of the comet D/1827 M1 (Pons-Gambart). It is very low in the sky, and difficult to image with earth bound telescopes. However, it is currently in the STEREO H2B imager (though it will soon pass out of view and into H1B's field of view). In the meantime videos of the STEREO H2B images have been circulating claiming It is an "unknown object heading for for earth". 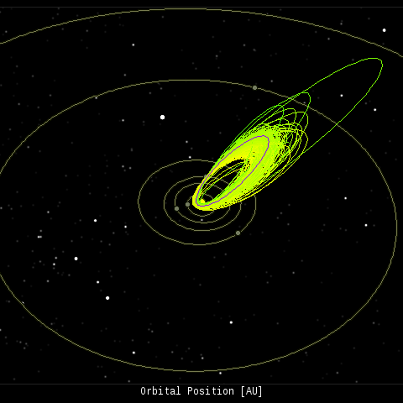 It is neither unknown nor heading for Earth as this orbit diagram makes clear. My less spectacular video of the comet is below. The Geminid Meteor shower will be at its peak from the point of view of Australian's on the mornings of Friday 14 December (the actual peak is 13 December 23h30m UT ) and Saturday 15 December but significant numbers should be also be seen on the morning of the 13th. The Moon will be out of the picture, being just off New (New Moon is on the 13th) so this is an excellent year to observe. In Australia we should see roughly a meteor every 2 minutes between 2-3 am daylight saving time under dark sky conditions. The more light pollution (the closer you are to the city) , the fewer meteors you see, but it is still worth while to look even if you are near the city or in the suburbs. To observer the radiant, look to the north or north-east (depending on the time, the later you look the closer to north you should look). The radiant, where the meteors appear to come from, is just below Castor, the lower of the two bright, close stars that form the "twins" of Gemini. When looking, be sure to let your eyes adjust for at least 5 minutes so your eyes can be properly adapted to the dark. Don't look directly at the radiant site, because the meteors will often start their "burn" some distance from it, but around a handspan up or to the side. Be patient, although you should see an average of a meteor every two minutes, a whole stretch of time can go by without a meteor, then a whole bunch turn up one after the other. Make yourself comfortable, choose an observing site that has little to obstruct the northern horizon, have a comfortable chair to sit in (a banana lounger is best), or blankets and pillows. A hot Thermos of something to drink and plenty of mosquito protection will complete your observing preparations. As well as meteors, keep an eye out for satellites (see Heavens Above for predictions from your site). The sky will also be particularly beautiful, with the constellations of Orion and Taurus gracing the north-western sky, Jupiter setting in the west and Saturn and Venus rising in the east. The presentations will examine Pseudoscience, particularly in the context of Medicine. Our distinguished panel comprises real scientists and science communicators, all with a healthy disrespect for those who would tout snake oil. It promises to be a cracking good night. The Last Quarter Moon is Friday December 7, New Moon is Thursday December 13. Mars is in Sagittarius. Jupiter is visible in the late evening sky. In the morning skies Venus is low on the horizon. 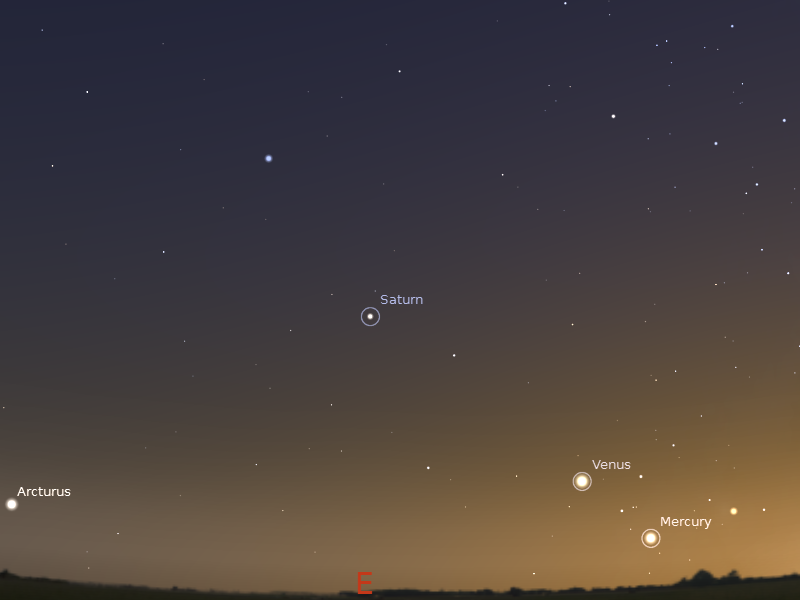 Saturn is visible low in the morning sky not far from Venus. Saturn is visited by the Moon on the 11th, and Venus on the 12th. Mercury is in the morning sky below Venus. Geminid meteor shower ramps up on the 13th. Morning sky on Wednesday December 12 looking east as seen from Adelaide at 5:15 am local daylight saving time in South Australia. Saturn and Venus are drawing apart, Mercury is just on the horizon. The thin crescent Moon is between Venus and Mercury. Similar views will be seen elsewhere at the equivalent local time (click to embiggen). The Last Quarter Moon is Friday December 7, New Moon is Thursday December 13. 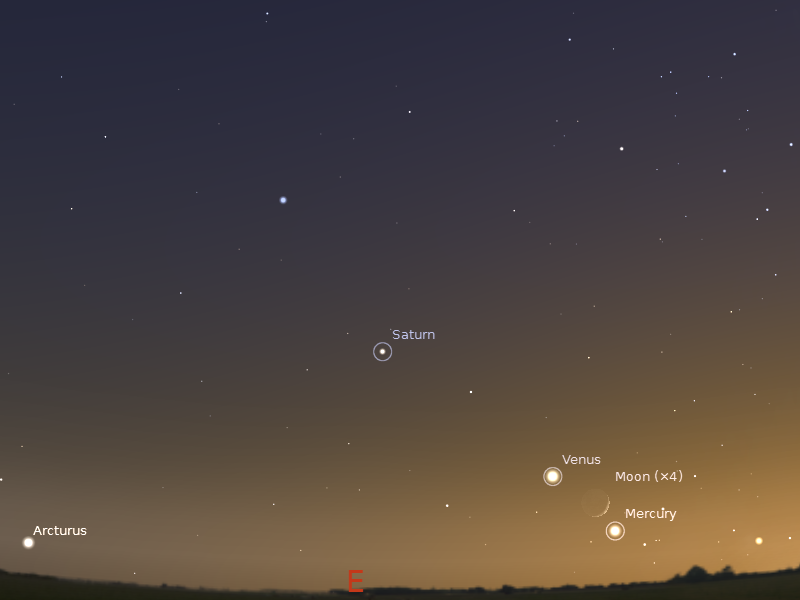 Saturn is now visible above the eastern horizon before dawn. 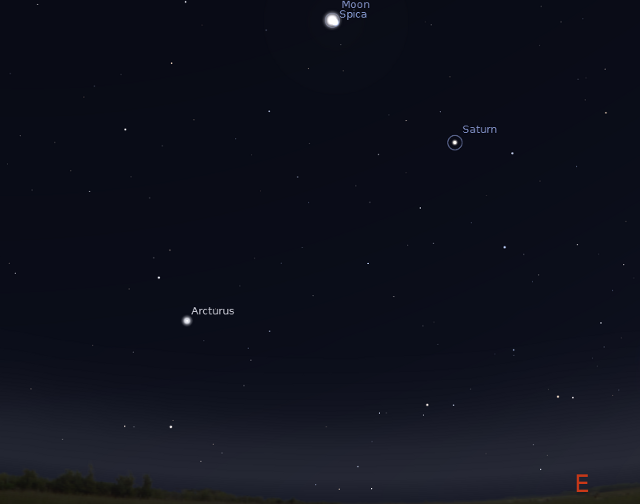 Saturn climbs higher in the morning sky and moves away from Venus during the week. 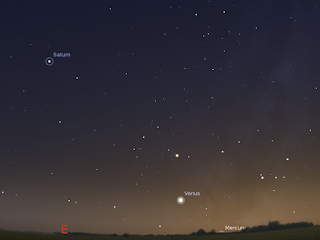 Mercury returns to the morning sky, but is difficult to see in the twilight below Venus. You will need a flat, unobscured horizon (like the ocean) to see it. From the 10th to the 12th there is a nice line-up in the morning sky. On the 10th the crescent Moon, Saturn, Venus and Mercury are all in a line. On the 11th, the crescent Moon is between Saturn and Venus and on the 12th the crescent Moon is between Venus and Mercury. For the latter a clear unobstructed horizon is required. Evening sky looking East as seen from Adelaide at 22:00 pm local daylight time on Saturday December 8. Similar views will be seen elsewhere at the equivalent local time. 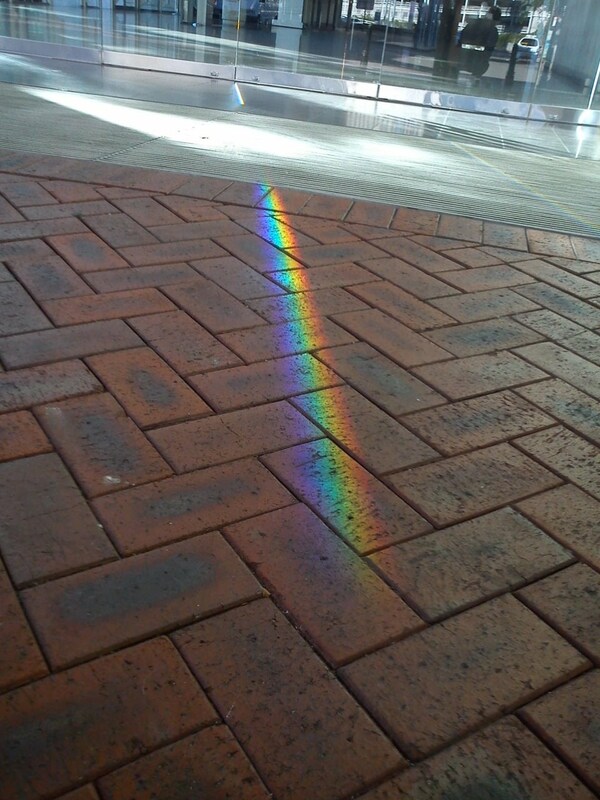 Click to embiggen. Mars will be in binocular range of M22, one of the finest globular clusters in the sky, for most of the week. Mars sets shortly after 9:30 pm local daylight saving time. Jupiter is visible all night long now, with opposition just passed on the 3rd. Jupiter is below the Hyades, near the red star Aldebaran. 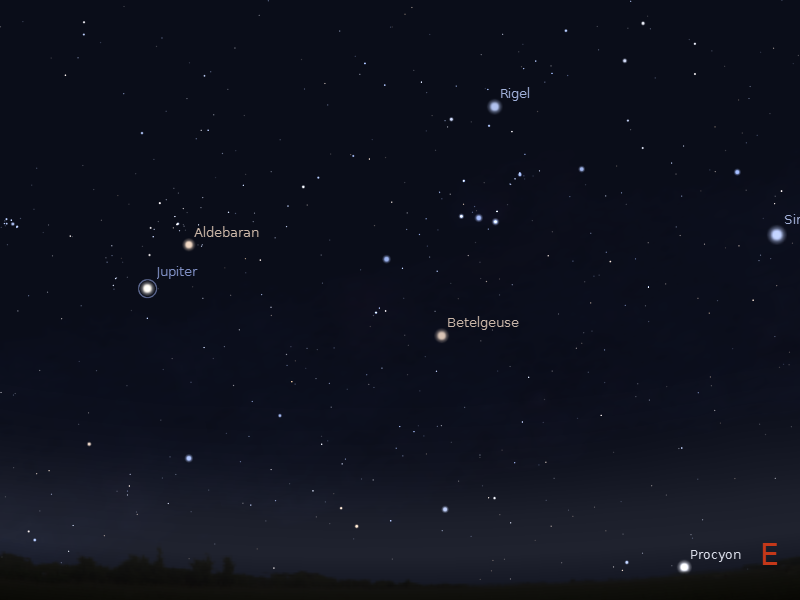 Jupiter moves slowly towards Aldebaran during the week, making it look as if the Bull has two eyes. Jupiter is easily seen in the late evening sky, rising around 8:00 pm local daylight saving time and is high by midnight. Now is a perfect time to observe Jupiter with a telescope of any size in the evening. Jupiters' Moons are easily seen in binoculars, and can be followed from night to night changing position. The Geminid Meteor shower is at its peak from the point of view of Australian's on the mornings of Friday 14 December (13 December UT) and Saturday 15 December but significant numbers should be seen on the 13th. The best time to observe is between 1 and 4 am (daylight saving time, 12-3 am non-daylight saving time), with the highest rates between 2-3 am daylight saving time. With the Moon out of the picture in Australia we should see roughly a meteor every 2 minutes. In Sydney for a conference, caught some fireworks. 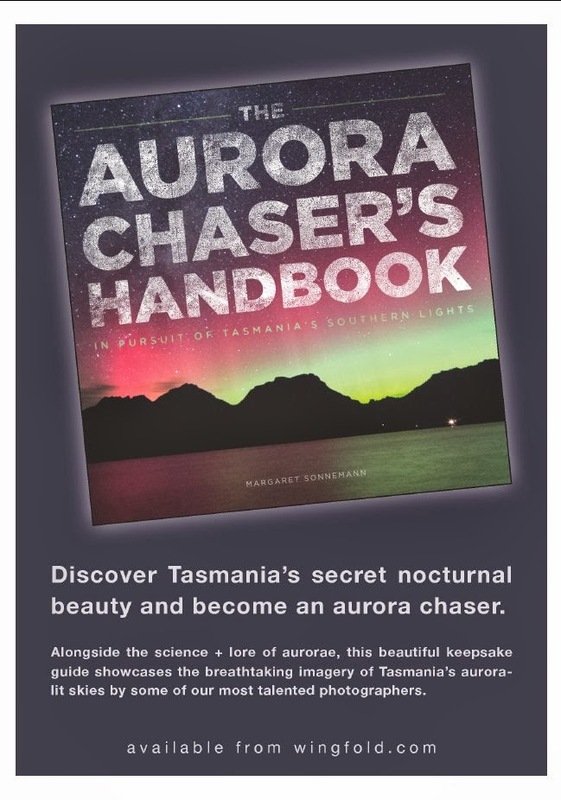 Southern Skywatch December 2012 Edition is now up. Venus is low in the morning sky and is close to the crescent Moon on the 12th. On December 11 the crescent Moon s is close to Saturn. Jupiter is in the morning sky near the Hyades. Jupiter is at opposition on the 3rd, when it is largest as seen from Earth, this is an ideal time for telescopic views of Jupiter. On the 26th the Moon and Jupiter are close. Mars is Sagittarius. Mars is close to the crescent Moon on the 15th. By the end of the month it is very difficult to see. Mercury returns to the morning sky this month, but is hard to observe. The Geminid meteor shower is at maximum on the morning of December 14.